The global data center storage market is led by five prominent vendors through at least 2020, according to a recent research report from Technavio. The leading companies are Dell, EMC, HP, IBM and NetApp. The report also lists nearly two dozen other prominent vendors that are expected to impact the market. Data center storage is anticipated to make staggering growth, posting an impressive CAGR of more than 15% over the four-year forecast period. Storing data in the cloud is proving to be an effective medium for enterprises around the world. With a large amount of data generated through IoT, storing this data on-premise is turning out to be an expensive affair for most enterprises. As a result, the majority of enterprises have started moving their data to the cloud storage through service providers, such as Amazon Web Services, Microsoft Azure and Google Cloud Platform. Moreover, the demand for cloud storage has increased because of reduced cost, better scalability and high availability of storage. With the growing adoption of cloud-based storage, Cloud Solution Providers (CSPs) are involved in the construction of cloud data centers worldwide. These data centers are likely to be installed with advanced storage infrastructures such as flash and hybrid arrays. According to the report, competition among existing storage players is expectedly high, owing to the increase in data generated and processed by enterprises. Over the years, several innovations have been made with regard to the scalability and performance of storage systems in data centers. The use of flash-based storage is increasing among data centers owing to increased business needs. Storage area network (SAN) is the commonly adopted storage system among data center operators, while network-attached storage (NAS) and direct-attached storage (DAS) systems are adopted less comparatively. The adoption criterion varies based on the business data processing needs. “Almost all the vendors in the storage market offer SAN, NAS and DAS storage with few already experiencing increased revenue through the use of flash-based storage systems and others continuing innovations in existing and advanced systems specific to business needs," said Rajesh Kumar Panda, lead data center analyst from Technavio. "EMC is the leading vendor in the storage space with a market share of 28%-30% because of the increased adoption of its storage portfolio products coupled with VMware solutions and SDS-enabled infrastructure offerings,” said Panda. The competition in the market is increasing owing to the innovations in SDS, where EMC has an edge over VMware. In addition, the acquisition of EMC by Dell, which is currently in progress, will have a positive impact on the market during the 2020 forecast period as their market share would increase. Dell is one of the leading computing solutions providers. The company offers a range of client computing devices, servers for enterprise customers and networking solutions. It also offers peripherals, including monitors, printers and projectors. On Aug. 24, 2015, Dell introduced Datacenter Scalable Solutions (DSS), a new line of business within its Enterprise Solutions organization, designed to cater to web tech companies, telecommunications service providers, hosting companies, oil and gas companies and research organizations. EMC offers virtual infrastructure technologies, information infrastructure, solutions and services for enterprise worldwide. It also provides security solutions and enterprise software and cloud solutions that include EMC Documentum portfolio, which offers information and content management. As of December 2015, the company generated revenue of USD 24.7 billion. It spent USD 3.17 billion on R&D. The information storage segment, through which the company offers NAS storage systems, witnessed a decreased product revenue of around 5% in 2015. This was in part due to low demand for high-end traditional storage and unified and backup recovery products. In addition, the impact was because of the fluctuations in foreign currency. Otherwise, the company witnessed an increased demand for XtremIO, Isilon and SDS. HP was incorporated in 1947 and is headquartered in California. The company provides technologies, products, software, solutions and services to individual consumers, small and medium-sized business and large enterprises. It serves the government, healthcare and education sectors. The company's business operations are classified into seven business segments: personal systems, printing, enterprise services, enterprise group, software, HP financial services and corporate investments. HP offers a variety of IT infrastructure and business solutions through reportable segments, including enterprise group. IBM was established in 1911 and is headquartered in New York. It provides IT products and services, globally. As of December 2014, the company generated revenue of USD 81.74 billion. On November 6, 2015, IBM acquired Cleversafe, a developer and provider of object-based storage products and software. NetApp offers storage and data management solutions, including specialized hardware, software and services related to storage management for open network environments. The company provides data management and storage offerings under various categories such as data storage systems, flash systems and technologies and data management software. In 2015, the net revenues of the company decreased by 3% compared to 2014 because of the decrease in product and software maintenance revenue. However, the company witnessed increased revenue from hardware maintenance and other services. In terms of geography, the Americas dominated the market and accounted for more than 40% of the market shares during 2015. 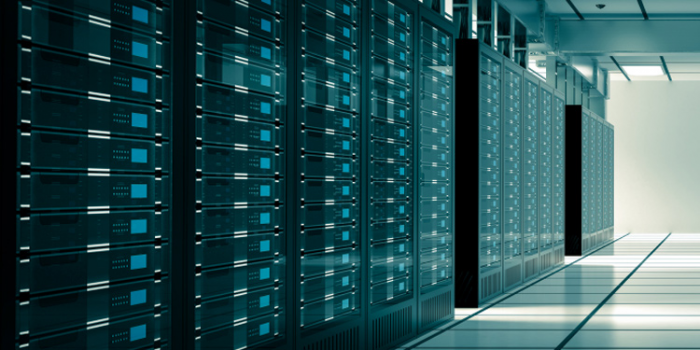 The U.S. is a major adopter of data systems with the highest number of data center facilities. Also, the research study shows that enterprises in the U.S. prefer energy-efficient IT infrastructure. Therefore, expect an increase the next few years in mission-critical and high-performance storage infrastructure, including all-flash storage solutions, owing to the growing use of cloud services and big data analytics. Visit Technavio's site to request a sample of the report or buy the comprehensive report analysis.